Scroll down to apply now to bring original works of art to your school! The Mobile Art Gallery, consists of original works of art from exhibiting artists from the Cherry Creek Arts Festival and tours perpetually throughout Colorado. The Goal of the Mobile Art Gallery is to provide entrance to the visual arts in an accessible, non-threatening setting and introduce the public to various art forms through exhibition of original artwork. To make this a comprehensive educational experience, CherryArts provides several educational tools that can be used in the classroom or as part of a community program. The Mobile Art Gallery Program Guide includes resource and reference materials that foster education of media and techniques our exhibiting artists employ. Developed for teachers, the Mobile Art Gallery Program Guide includes artist biographies, additional resources, inter-curricular lesson plans and activities. In addition, each work of art is accompanied by a 'take away' educational piece written in both English and Spanish. Students are actively engaged in the Mobile Art Gallery from its installation, to handling the art, to dismantling the exhibition. Student docents are trained to give tours of the Gallery to the student body and school community. Each school offers a Community Night whereby parents, school board members and the local community are invited to view the Gallery and take a docent-led tour. Installation for the Mobile Art Gallery including programming elements for a two week tour is $1100. Grant funding is now available to provide financial assistance to schools. Apply now for a chance to receive funding to support your school in receiving the Mobile Art Gallery for the 2018/2019 school year. 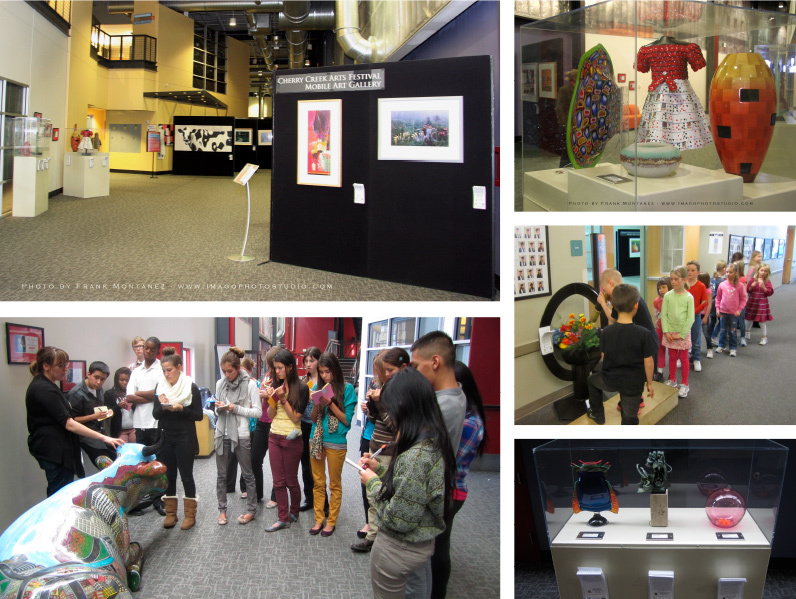 Why should your school be selected to receive grant funding for a tour of the Mobile Art Gallery? Why are the arts important to your school and how are they integrated into your school life?